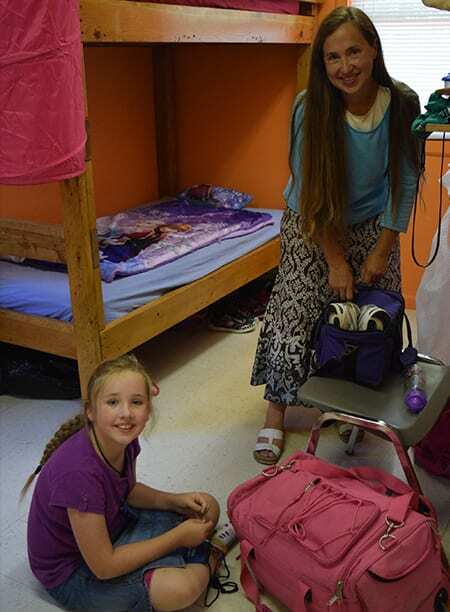 Packing for camp can be one of the most fun things for campers to do prior to coming to Cub Creek! We suggest that campers bring one week’s worth of clothing. Whether you're staying for one week or more, this helps to reduce the amount of luggage you'll need to bring! Below is a list of items to help you pack for camp. To help keep track of your belongings, clothing and personal belongings should be marked with your camper’s name. We cannot be responsible for items lost or left at camp. Items marked with an *asterisk should be noted as items that have some extra notes. You will see that some items in our packing list are marked with an *asterisk. These items are ones that we feel need more notes. *Short sleeve shirts should be shirts that cover shoulders. We want to help protect campers shoulders from sunburn. Please do not pack tank-tops for everyday wear, however tank tops are great for pajamas and cabin wear. *Swimsuits should be tankinis/one-piece for females and trunks for males. *Sandals/Flip-flops/Open toe shoes may ONLY be worn in the cabin or on the pool deck. *Electronics are not permitted for campers. Campers traveling to/from the airport may have their electronics for travel! But when they arrive to camp and during their stay, electronics will be placed in a large envelope, marked with their name, and kept in our safe in our office. Campers who are found to have packed any items on the prohibited list may be asked to leave camp. Campers staying multiple weeks do laundry each weekend. Staff are available and trained to help campers empty pockets, sort laundry, and help ensure that everything gets folded and returned to each campers bunk. If campers need to do additional loads throughout the week, they may! Laundry outside of the normal schedules is $5 per load (includes both wash and dry).